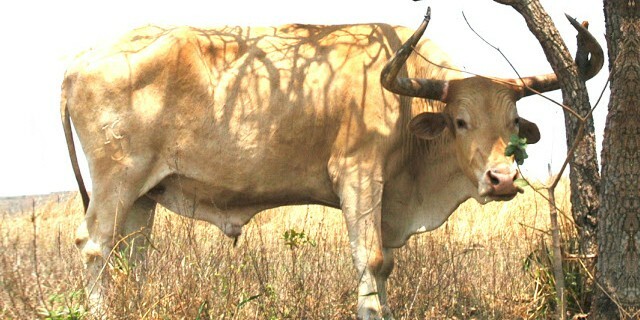 They are medium to large cattle with a short coat. Their coat ranges from light tan to beige with no white hair. They have small ears and both bulls and cows usually have small horns. They have very strong legs and hooves. The mature bulls on average weight around 1,000-1200 kg. And average live body weight of the mature cows varies from 550 to 650 kg.